Bigger pictures. The western city wall is breached by Castle Way. Carlisle Castle. The western city wall is the only one to survive, and this is much knocked about. 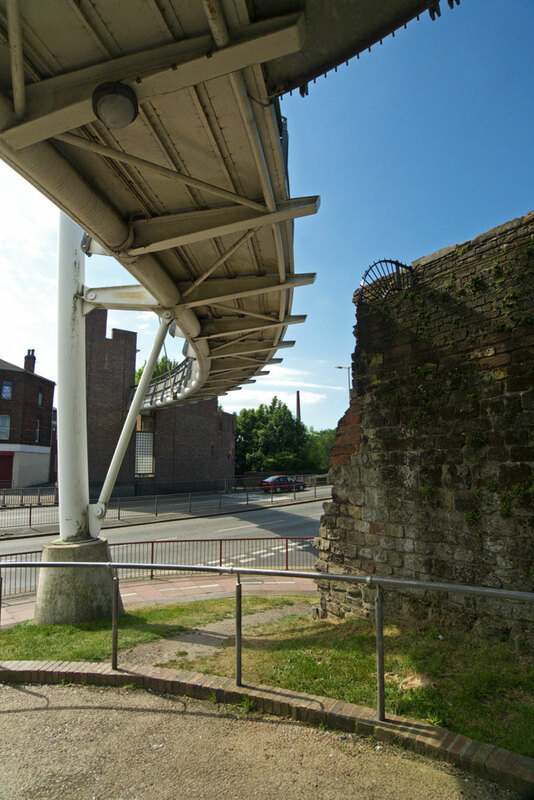 Here the wall is breached by Castle Way, above is the Millennium Bridge.